Show Racism the Red Card delivered anti-racism training to Unison modern apprentices on Thursday 1st and Friday 2nd November at the request of Stephen Smellie, Branch Secretary for Unison South Lanarkshire. 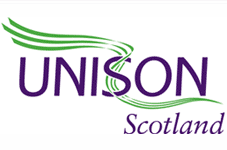 This is the second year we have delivered training to modern apprentices for Unison South Lanarkshire. The course was designed to identify what racism is and the impacts it can have on people. It considered use of language and appropriate strategies for challenging racism in the workplace. • What are the barriers to promoting equality and tackling racism? • What does the law say? • What’s racist and what’s not? • How do we respond/how should we respond? 1. Have you ever participated in a course on anti-racism or similar themes? 2. We asked the participants how confident they would feel promoting equality and tackling racism within their work environment on a scale of 1 – 5 with 1 being not confident and 5 being very confident. 59% answered that they would be very confident. How did this event meet your expectations? 52% said the course exceeded their expectations. 48% said that the course fully met their expectations. We asked participants how effective they found each part of the day on a scale of excellent, very good, good, poor, very poor.